Explore the risks associated with low visibility takeoffs. 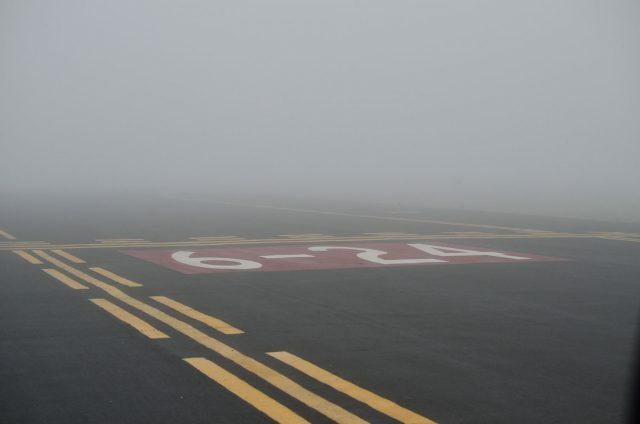 A runway during low visibility. A few months ago I posted a video on Facebook of a takeoff I made in what was pretty much a zero-zero visibility and low-IFR-ceiling situation. The post, as many do, generated comments and opinions. And a few questions. My answer was, it depends. A “zero-zero” takeoff is generally considered to occur when the pilot is taking off into low IFR conditions in which runway visibility is limited to the length of the runway or less and very low ceilings. Things like fog, snow squalls, heavy precipitation, or other similar conditions many times cause this to happen. When this is the case and a pilot feels the need to make a flight “go” in spite of the conditions, they must consider what risks they can mitigate and which ones they can’t. Only when the risks are evaluated can an informed go/no-go decision be made. But how does a pilot make that decision? It’s not an easy call. It’s a mix of risk mitigation considerations. But no matter what your minimum becomes, it should be one that carefully evaluates what the risks and options are, because any time you take off and might not be able to return to that same airport, the risk is higher. First, let’s discuss the regulatory side of the question. A zero-zero conditions takeoff really only applies to private flying. For airlines or charter flying and a few other FAA-certificated operational environments, takeoff minimums of some sort or another are typically going to apply. If the conditions are lower than those minimums, it’s a no go. For a truly private operation of an owner/operator, if the pilot is comfortable taking off with less-than-prescribed visibility minimums for landing, it becomes a personal decision and risk evaluation. I know. Some will say this is not a great idea, unsafe or overly risky, but that becomes a personal evaluation, not a regulatory one. Let’s add another assumption to this discussion. We assume the pilot is IFR qualified in an aircraft that is IFR equipped and current. To attempt a very-low visibility takeoff without being IFR rated and current and without your plane being IFR ready is foolhardy and in violation of the FARs. Many pilots will tell you they would never take off from an airport that they were not able to return to in minimal VFR, and there is nothing wrong with that. That may be the level of risk they are comfortable taking. But if you are going to consider taking off into IFR conditions when the takeoff is or near to zero-zero conditions, I encourage you to consider at least a few potential questions. How familiar are you with the aircraft and how is it equipped? The better you know the aircraft and the better equipped it is, the better you will be able to handle a challenging situation. This isn’t the type of takeoff you want to be doing when you are searching for where switches are on the panel. A good autopilot may also be helpful. Some would consider it essential. How familiar are you with the airport? It shouldn’t be your first time taking off from an airport if you are going to be doing a zero-zero takeoff. It may even be something you do from one runway at an airport but not another. In our case, that was true. Taking off toward the north was slightly uphill, and there is a cell phone tower not too terribly far to the right on the climb out. Taking off toward the south took us downhill and over a long expanse of cornfields over which we climbed. It was a conscious decision. How current are your IFR skills? Are you barely current, or are you flying IFR on a regular basis? By current, I mean proficient, and not “filing IFR in VFR conditions” but actually flying in real IFR conditions with strong, current and proficient IFR skills. If there is some rust on this skill set, it’s time to hold yourself to higher minimums. Are you doing it single-pilot or as a crew? There is a reason that many commercial operators, and almost all airlines, operate as a two- (or more) crew operation. It’s safer. If you are trying to do this as a single pilot, it may be time to say no. But with two proficient pilots, one flying and one monitoring for any deviations, it can make the operation safer. Are the low-IFR conditions widespread, or are there nearby options that you could go to in the event of a problem? Having an “out” as an option can be a good thing to think about. Sometimes conditions are very localized, and a short flight in the event of any emergencies may offer an opportunity to safely manage any troubles. If the conditions range over a larger area and these options are not available, it should be some negative points toward the go-no-go decision. 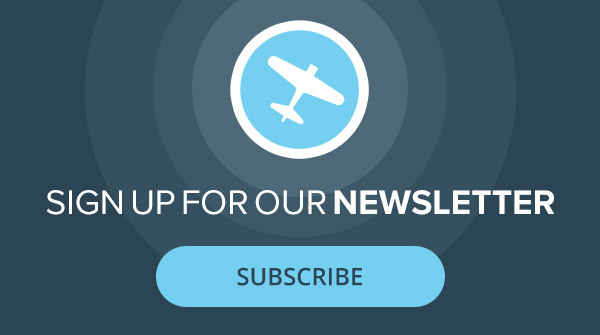 Will you break out of the low-IFR conditions quickly or need to continue into them? Similar in the decision-making process, if the conditions are just low to the ground and you will break through quickly, the time period in which a pilot must maintain the highest level of focus may be minimal. A shallow ground fog may leave a pilot in the clear only a few hundred feet above the ground where they then can again reference a horizon and find more agreeable flight conditions. Long climbs through zero visibility can be taxing and lead to a longer risk period where a pilot could encounter loss of control. Again, this is a time to think about the autopilot. Are there other weather factors in the area or just the ceiling and visibility you will need to contend with? If the conditions are going to go from bad to worse, be present over an extended period of time or add other risk factors, it may be time to say no. Climbing through heavy rain, snow, winds causing reduced visibility or other nasty conditions ratchets up the risk far beyond a simple lack of visibility in some low clouds or fog. Extreme weather conditions, especially when coupled with poor flight visibility, can become killers. Don’t let them compound each other to the point where they are going to overtax the aircraft or crew’s abilities to safely complete a flight. I once took off in an A36 Bonanza I had just picked up for an owner in the Seattle area in order to ferry it home for them. The conditions on departure were a 500-foot ceiling, approximately, and I would need to climb through clouds (where there was a potential for icing) and toward the mountains. I had a rough idea of where the tops were and wasn’t familiar with the area airspace. Looking back, I am not sure I would do that again. It was too much risk, but I let the pressure of the need to deliver the aircraft and the desire to get moving en route outweigh the considerations of lack of aircraft and airport familiarity. In that instance, multiple factors were starting to compound. Had something gone wrong in the process, it may have been too many factors to handle at once. We lived, it worked out well, and we learned from it. In the case of the picture below, even though we could only see about two runway stripes down the runway, we had evaluated the other risks. It was an aircraft I fly weekly, we had two crew members aboard. It was also from an airport we fly at multiple times a week, and another airport nine miles away was reporting clear conditions—our departure airport was experiencing a localized fog bank that had come off of Lake Michigan. We knew we would be on top of the clouds very quickly, and there were no other weather factors ahead en route. So, the main risk to mitigate was just the low visibility on departure. Had there been other, compounding factors that would have given us fewer options in the event of any unforeseen problems, our personal takeoff minimums would have been higher, perhaps much higher. What that really means is this: The conditions you will depart into may be more or less restrictive on any given day for any given set of conditions. With that said, more conservative is always safer, and the danger of letting yourself pile on multiple risk factors is what creeps into the decision-making process when the demands to complete the flight become more pressing. This is probably the biggest risk to honestly evaluate and mitigate for most pilots. It can also be the hardest to honestly evaluate and mitigate. So, what would the minimum weather conditions be for you on a low-visibility takeoff? Well, hopefully, your answer is also “it depends” and that you would think your way through all the risks and how you might mitigate them if you’re considering departing in conditions that might be considered zero-zero.